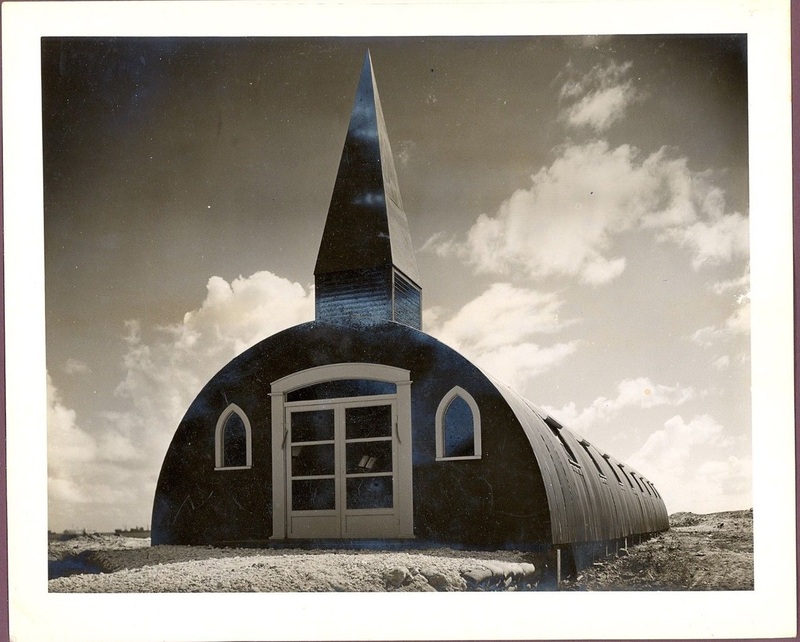 Bering Hill Chapel, built in 1944 by the Army Corps of Engineers. Interior of the Bering Hill Chapel, built in 1944. East Chapel on Guam. Photo by Robert J. Day, 1944. Aloha Jewish Chapel, Joint Base Pearl Harbor-Hickam. Built in 1975, AJC was the first free-standing military chapel built exclusively for Jewish worship. Interior of Aloha Jewish Chapel, Joint Base Pearl Harbor-Hickam, built in 1975 as the first free-standing military Jewish chapel. Watercolor of the historic chapel at Naval Station Guantanamo Bay. Stained glass window at the historic chapel at Naval Base Guantanamo Bay. 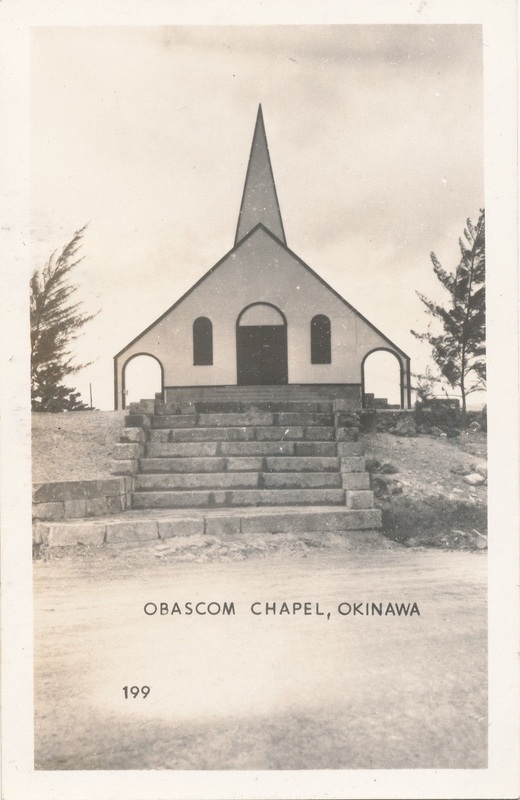 Obascom Chapel on Okinawa, Japan, 1940s. 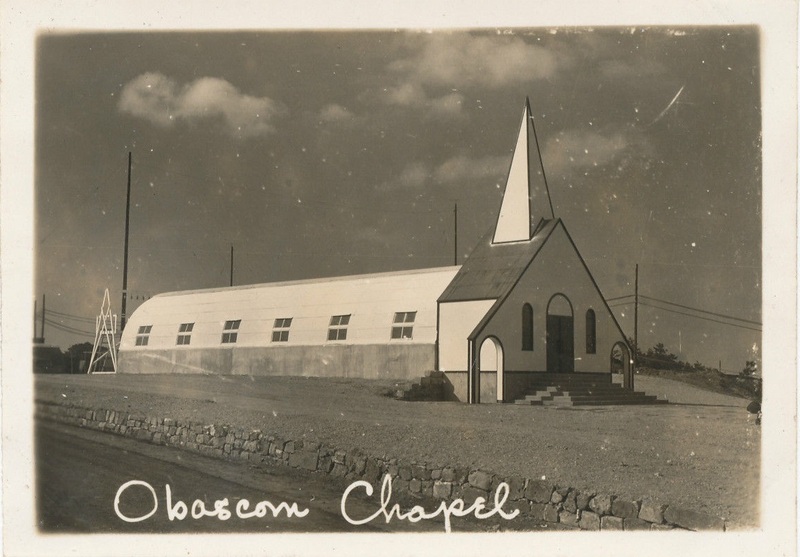 Side view of Obascom Chapel on Okinawa, 1945. 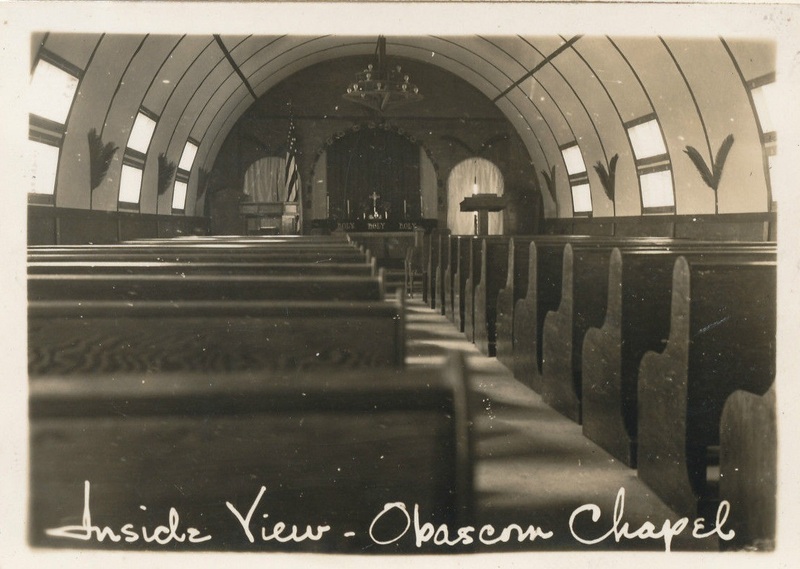 Interior view of Obascom Chapel on Okinawa, 1945.